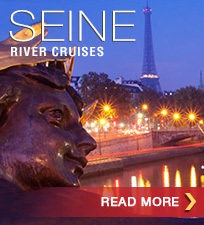 Are European River Cruises Safe? 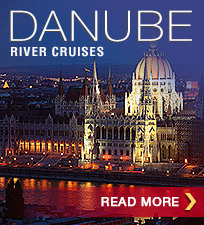 Addressing the elephant in the room... Europe river cruises are a safe vacation! A few thoughts and observations for your consideration. My wife and I recently returned from a marvelous Rhine River cruise from Basel to Amsterdam with a land stay in both Switzerland and Amsterdam. Before I continue, let me say it would be foolish not to always consider one’s safety when looking at future travel planning, so prior to leaving, I must admit we did have a brief discussion about our “safety concerns" and the "potential risk" of a terrorist event. And, as travelers, we should also always be concerned about how we might respond to such reprehensible acts of terrorism. In these very troubling times, thoughts and concerns such as these are always on our mind. Thus, I thought it would be good to share some of our observations and thoughts that occurred during our recent Rhine cruise. First, it is impossible for anyone to tell you not to feel nervous or in some way threatened when considering travel to Europe, it is a natural reaction. However, if you take a bit of time to examine the facts you’ll see that recent events in Paris, Brussels, Nice, and Istanbul, while deplorable, were quite isolated events. When it comes to one’s safety, it is important to realize that there is a definite difference between safety and risk. As you continue to read this article, I hope it is the facts that will lead you to conclude that neither safety nor risk factors should be of significant concern to you on almost any European river cruise. Let me make a few observations as to why that is. 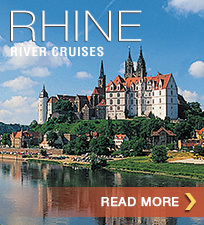 Observations made on our recent Rhine river cruise. Our Rhine trip took us via air, rail, boat, and car through four countries bordering along the Rhine River over the course of 14 delightful days and to about 25 cities and small towns. We even got to experience King’s Day in Amsterdam (the capital of Holland) where 750,000 fun-loving locals and tourists crowded the streets throughout the city to celebrate the King’s birthday in total safety and harmony. Did we feel safe? You bet we did (and, boy, did we enjoy the incredible “street food”). In speaking with our crew, hotel staff, as well as the locals we encountered as our journey continued through France, Germany, Switzerland and the Netherlands, not one single person ever mentioned they were fearful, not one, and we DID ask! In airports and some of the larger rail stations, there was more of a police presence than in past years, but no indication of a dramatic security build-up anywhere because none is needed, not even in Amsterdam. Tourists and locals were going about life as always: enjoying it! When we asked other travelers and locals (we spoke to over a hundred people during the course of our trip abroad) about terrorism and how it concerned them, to a person they were quick to make the following types of comments, “… it is far away from us..."; "... very isolated to areas where there are lots of unhappy immigrants..."; "... truly has no effect on our daily lives…”. By the end of our trip, we must candidly state, "Safe!," is exactly how we felt during our entire vacation. Let’s start with a truly important fact. There has never been a terrorist incident involving any river ship or river ship guest, ever! Why? Because, with few exceptions, none of the cities, towns and villages that are visited by river ships has a significant Islamic population, thus there is almost no risk of an “event.” River ships do not dock in Brussels, Istanbul and Nice, nor in Paris as docking on the Seine for the city has been repositioned quite a number of miles to the north of Paris. Security on river ships. While not an issue, security on river ships has been responsibly upgraded and continues to be tightened. For example: Access cards on most ships are now required to board the ship at any time. Entrances to the ships are secured by midnight. Ships' crew and staff have been trained to react and respond as necessary to any situation should they be needed. Evaluating "risk." When evaluating the risks, do take into consideration that ports along the Rhine, Main, Moselle, Danube and southern France's Rhone/Saone, plus Portugal's Douro River and northern Italy's Po River are small, not politically important, and hundreds, if not thousands of miles away from the nearest unrest. ◙ Lastly, the Po River in Northern Italy is 247 miles north of Rome. Hopefully, after reading our observations you, too, will conclude that a river cruise is still very much a safe and enriching vacation choice, not to mention always a great value. The risk of an “incident” is very low because you're just not near any troubled areas when you travel by river ship. How should we as travelers respond to terrorism? We believe we owe it to the victims of terrorism here in the US, in Europe — or anywhere else in the world for that matter — to not let the terrorist win by becoming and being terrorized; we must never let them have control over our lives, and how we live them. That’s what these very “bad guys” want; it is a key part of their motivation. We all know that sometimes our emotions are hard to control, but we must always calmly and knowledgably consider the facts before allowing our emotions to control our decisions. I will make the case that, perhaps, we need to measure the possibility of risk versus the incredible rewards of travel. Thank you for letting me share my wife's and my thoughts and observations on this topic. I hope I have given you some “food” for thought regarding any impending travel plans you are considering but hesitating upon. As always, our heartfelt prayers go out to the families and friends of all victims of terrorism, everywhere. If you have any comments or concerns, please don't hesitate to contact me.